This Pfaff 1473 is 100% German made and also has the IDT dual feed system that is so desired on Pfaff machines. This machine is the third computerized model that Pfaff produced and is the first machine that Pfaff introduced with industry-changing 9mm stitch width. * The 9mm designs are just beautiful in the Pfaff 1473, they really stand out and make the project look wonderful! 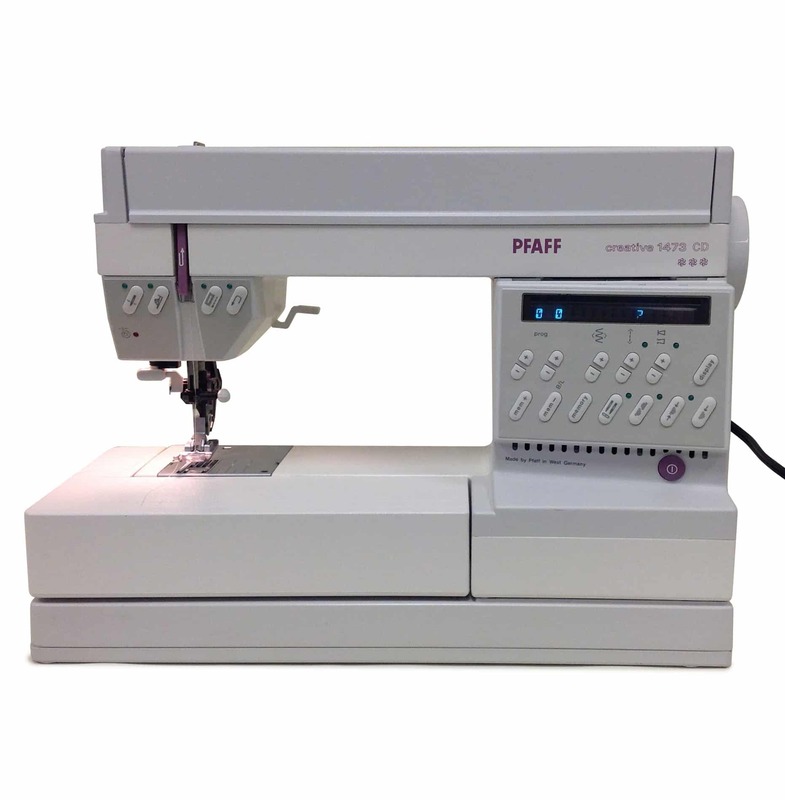 The Pfaff 1473 was made in Germany during the time when all the parts were produced in the Pfaff factory. (no outsourcing). The hook was produced using a process referred to as a “lost wax mold”, producing the most precise and perfect hook design in the industry. 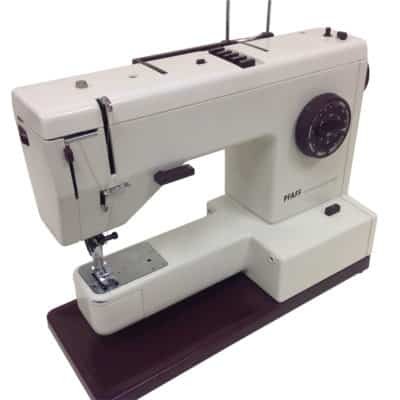 Pfaff machines were born from the industrial sewing machine division, and features such as the high speed industrial rotary hook and the built in DUAL FEED (IDT) system were direct results of this partnership of household and industrial divisions of the same company. Pfaff has a proud history of innovation, quality and longevity, and this machine is no exception, and is truly worthy of the Pfaff name and reputation. 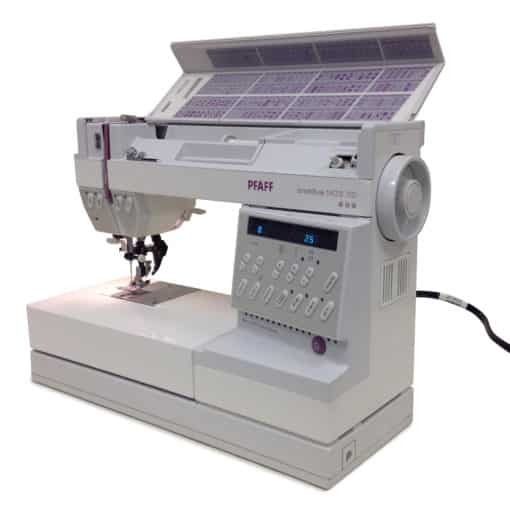 The Pfaff 1473 has a built in needle threader and a free arm. the swing away extension table removes to reveal the free arm for pant legs, cuffs and small areas. Additionally, these machines have been c ompletely rebuilt/refurbished to “as new” or “one off” factory condition. The prices will vary solely on cosmetic condition. 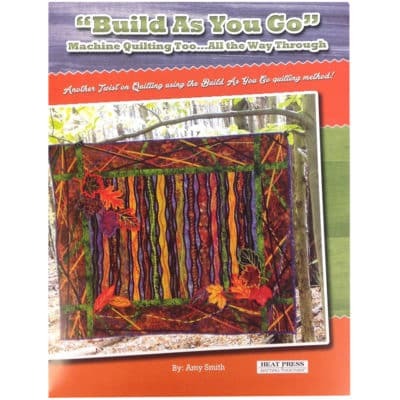 All are perfect running, finely tuned as they would be if you had purchased the machine new. 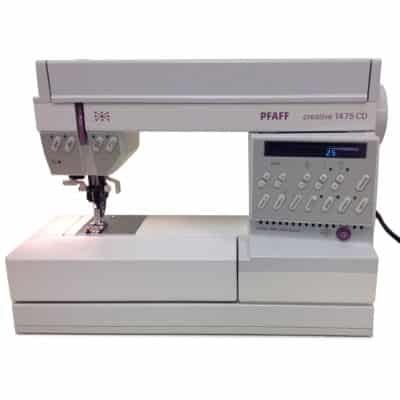 While there are risks associated with purchasing a used sewing machine, we try to alleviate that risk by offering you this warranty, and know that these machines, while used, are still much better in quality than any new sewing machine produced today. If you are a serious sewer or quilter, a German Pfaff will give you years of trouble-free sewing.